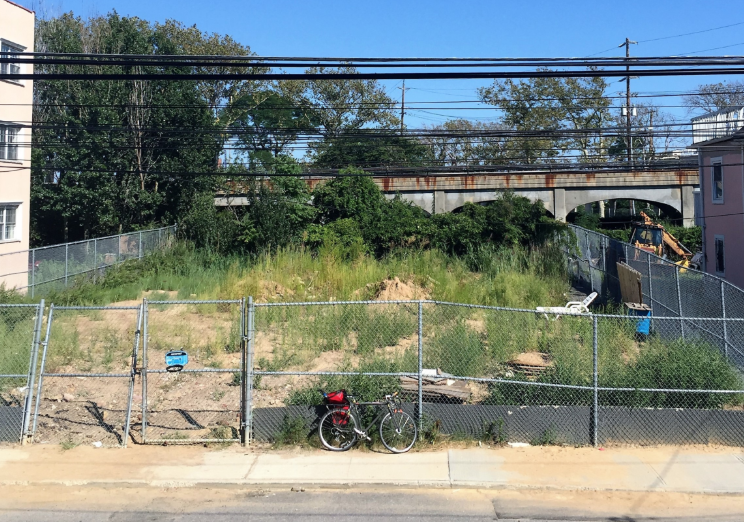 A few weeks ago, fellow groundtruther Tim and myself took a bike ride through the west Bronx to check out a few parks we had identified as possibly containing abandoned buildings. This ride was part of our project to identify and inventory unused and misused buildings on Parks Department property with the ultimate goal of creating tools for community advocacy on their behalf. You can read more about the project in previous blog posts here and here. Although our area of concern is specifically unused buildings on park property, in our perambulations around the city we have encountered several entire park properties that need support. One of these is Garrison Playground in the South Bronx. Garrison Playground is located on Grand Concourse at 144th and sits right between Hostos Community College and the site of a demolished public school. The playground is completely enclosed by a chain link fence and bears scars from years of neglect. The park’s asphalt and concrete playing surfaces are extensively cracked and overgrown with plants, benches have been reduced to lonely frames with no actual benches, and trash is strewn about. The park is separated from the former school lot by a pedestrian transverse that saw a decent amount of foot traffic during the period we spent sitting there. 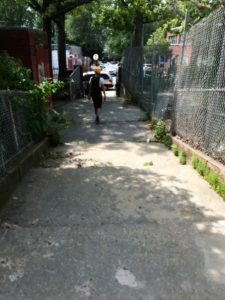 According to the Parks Department Capital Tracker, as well as a few defaced signs at the site, Garrison Playground is currently undergoing reconstruction with an expected completion date of December of this year. A press release from the city indicates that, as of last September, several elected officials are excited about the redevelopment project. Thus far no ground has been broken on the project, although an old sign at the park indicates that a community visioning session was held in October, 2016. There is public interest in in the site, which is well situated for frequent use and easy access. 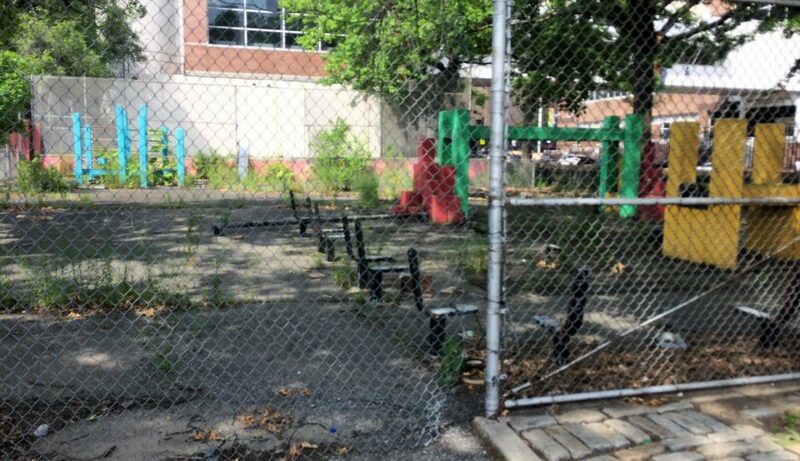 Neighbors have posted a few pictures from the visioning session event on the playground’s facebook page, but it isn’t clear what progress the city has made since then. 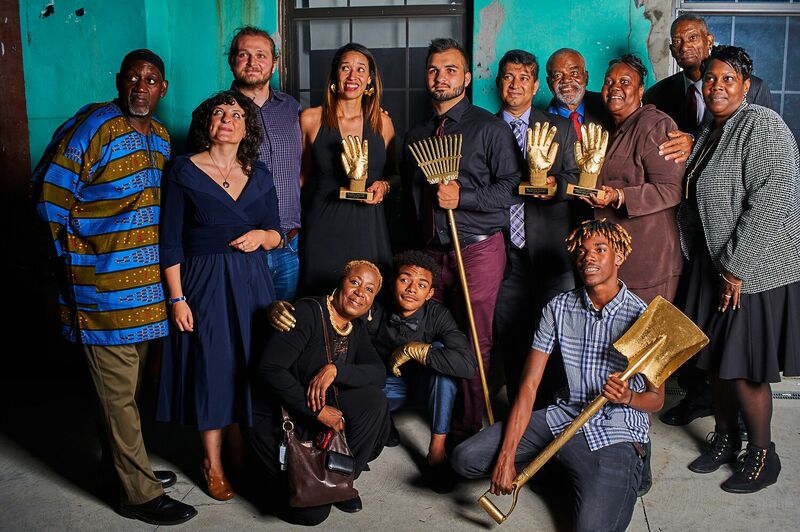 Good advocacy is essential to the maintenance of neighborhood spaces and the first step is taking stock of what we have and keeping aware of how far along we are in the process. For an easily accessible repository of New York City land in need of advocacy, check out some of the sites listed on Living Lots NYC! Sam burns for vibrant communities and believes that the best way for such communities to thrive is for neighbors to have control over their own spaces. 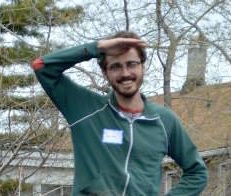 Before coming to New York in 2015, he lived in Chicago, where he did organizing work for a community garden undergoing a total soil remediation and massive redevelopment project. He also did an AmeriCorps program for a year on the south side of Chicago. During the day, he is an immigration paralegal. He is matriculating at CUNY Law School in the fall.